Dana Hooper, Homegrown Pears, oil, 8×8 in. Marcia Burtt Studio is pleased to present a group show celebrating a year of extraordinary contemporary landscapes. Featuring Robert Abbott, Marcia Burtt, Bill Dewey, Patricia Doyle, Michael Ferguson, Dana Hooper, Mark Kerckhoff, Marilee Krause, Ann Lofquist, Susan Petty, Ian Roberts, Erling Sjovold, Anne Ward and Jeff Yeomans. From realism to abstraction, bold color to subtle tones; the natural world is the genesis and inspiration for explorations of color, form, pattern and line. 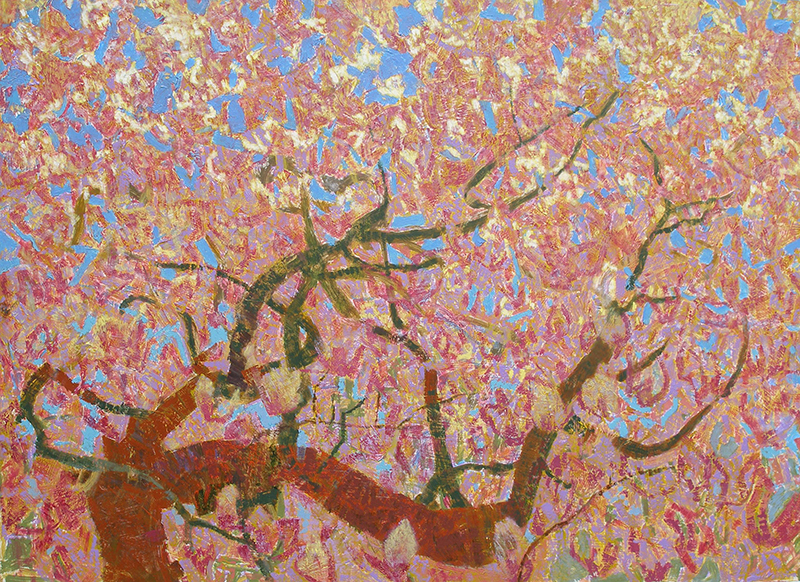 Michael Ferguson, In the Dogwood, acrylic, 31×43 in. 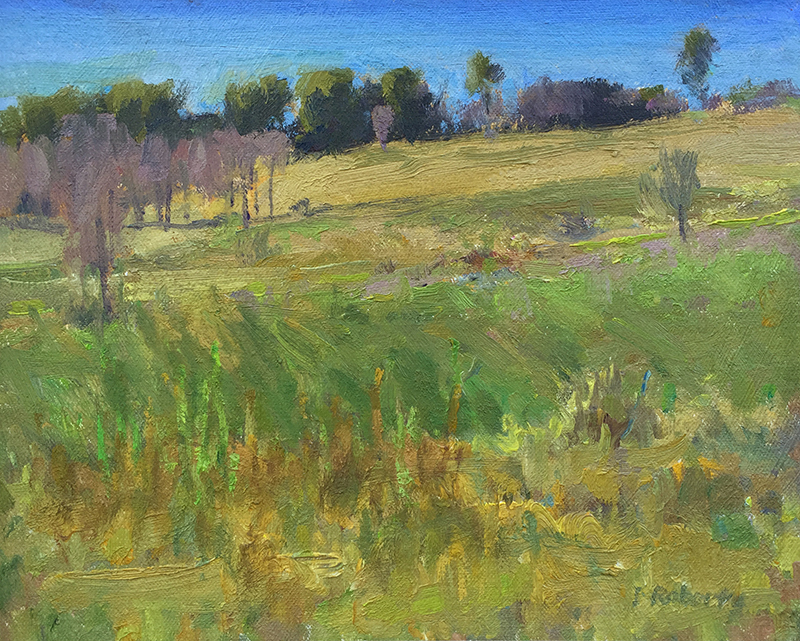 Ian Roberts, St. Auban, oil, 8×10 in.